EA seems to lament every single release as "below expectations" and try to hunt for a scapegoat for that outside the company (e.g. the same earnings call blamed the "poor" performance of Battlefield V on the "competition" of Fortnite and Red Dead Redemption II) instead of their own shortcomings. It would appear that the level of attention given to Rivals from its own separate fanbase, which surprised in size even myself as someone who immediately prepared a casket for it as soon as I heard about it, is not enough for the once overconfident publisher whose stocks have taken an insane dive in the past several months, and which fell even further on the day the earnings call was released alongside the stocks of many other publishers. On a personal note, I'd just like to share my disbelief at the lack of self-reflection executives and select developers within major companies have, taking absolutely no responsibility of their own and blaming everyone and everything else for their own failures. If EA manages to survive the year without major blows, we are looking at an upcoming C&C remaster release which brings hope that at least someone (you know who you are) recognizes that their own customers matter more than shareholders in the long run, but time will tell sooner rather than later whether that will be properly put in deeds and not just words. It is the first Monday of February, so it is time for another Nmenth's Research Lab, this month we will look at special infantry in Command & Conquer, covering Mutants, Cyborgs, and Clones and see how these compare with reality. New technologies will be explored on the first Monday of every month, so return next month on the 4th for more from Nmenth's Research Lab. Mere minutes ago, EA producer Jim Vessella posted an update regarding the status of the original C&C source codes and what engine they will be using for C&C Remastered and Red Alert Remastered. Do we have access to the original source code? This debunks a long-standing belief in the community that the source codes of Westwood-era titles have been lost, which is definitely good news! I have inquired with Xbox Support on why C&C 3: Kane's Wrath is not listed as a separate purchase like the others are, and it seems it is still under review with no real ETA on when it will be publicly available, just to keep an eye on updates in the rest of the week. Stay tuned for more info. Ever since its official release, some news updates have hit C&C rivals. To celebrate the worldwide launch, C&C Rivals developers are holding a launch celebration live stream today on January 12th, 2019 at 7PM PST (10PM EST). This will include the reveal of upcoming new units, a brand-new yet-to-be unveiled game feature, as well as 2 mini-tournaments: one featuring C&C fans against mobile gaming YouTubers and another one featuring the top Rivals players from each region across the globe, culminating with in-game prizes for all players across the winning player's region. A brand new Spectator Mode, as well as Custom Games and Custom Game Lobbies have been announced and will soon be added into the game. This effectively allows players to play against their friends and organize tournaments. This also includes new advanced replays features. 2 new units have been released this past December: The MG Squad (GDI) and Avatar (Nod). What is the difference between a Remaster and a Remake? What visual approach are you taking – 2D or 3D? Do you have the original source code? What technology / engine are you using for the game? What is going to happen with the FMVs? What quality of life improvements are you considering? While we’re not ready to answer all of these questions just yet, they are top of mind as we continue our pre-production work. In the meantime, I would like to address one of the more popular questions: Is this a remaster or a remake? This is a remaster. Our intention is to keep the story, script, and content as authentic as possible to the original games, while providing much higher fidelity with modern quality of life improvements. 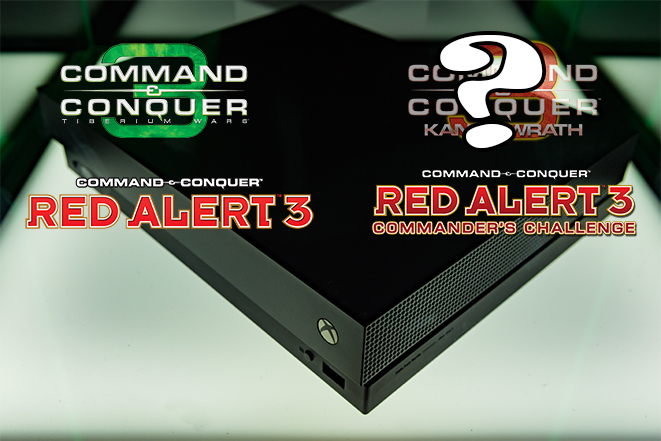 As Joe stated in his initial post, the Command & Conquer look and feel is incredibly important to us, and will be one of the benchmarks we judge every decision against. Just as important, we want to deliver on our commitment to ensure the community has a strong voice in how we remaster C&C. As a first step in this goal, I’m eager to announce we have officially formed the Command & Conquer Remastered Community Council. The Community Council is a group of 13 of the most dedicated C&C Community leaders, ranging from key mod developers, to streamers, and web admins. This group will have a direct line of access to myself and the Petroglyph dev team, and will be a critical sounding board for design discussions and artistic feedback. They will also act as a voice for the community, advocating for what all of you feel are the most important topics to consider. Keep in mind that because of the depth of their involvement, they are all under NDA and will be limited in what they can discuss publicly. Please respect their adherence to this NDA to ensure we can continue this initiative going forward. We’ve already had our first call between Petroglyph and the Community Council, and expect many more positive conversations over the upcoming months. If there are topics you wish for us to discuss with the Council, please continue to post them here on Reddit or social channels. Thanks again for your ongoing support, and we’re looking forward to providing another update in the New Year.